Last month, the Securities and Exchange Commission published its long-awaited proposed rules for the most radical part of the JOBS Act of 2012. These rules set the terms for what’s called Regulation Crowdfunding, under which the general public will be allowed to invest limited amounts in small, unregistered securities. Regulation Crowdfunding represents one of the most momentous changes in U.S. federal securities laws since the Securities Act of 1933, which first established our legal framework for selling investments. The JOBS Act gave the SEC the power to change many of its specifics as written, but the SEC’s proposed rules generally adhere to the original legislation. You can read a great outline of the rules, written by Kevin Laws of the startup platform AngelList, here. The main points are that people can invest between $2K and $100K annually in Regulation Crowdfunding offerings, via online “intermediaries” (platforms), while people issuing the investment can raise up to $1 million per year. Issuers must follow rules that include limiting any discussion of their offering to the intermediary platform and completing and maintaining filings such as résumés, recent tax returns if any, investment risks, the expected use of the investment proceeds, and full financial statements. For issues of over $100K, the financials must be formally reviewed or audited by a CPA. 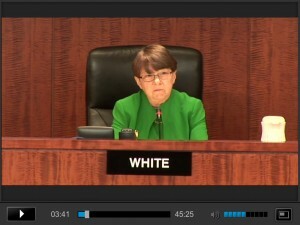 SEC Chair Mary Jo White on October 23, 2013. Furthermore, the SEC explicitly solicits additional input from the public, with 295 “Request for Comment” questions. Public comments on the proposed rules are rolling in now, and as with the previous set of public comments, they’re coming from experienced entrepreneurs, investors, regulators, crackpots, and everyone else. The most substantive and helpful that I’ve seen so far are from Paul M. Niederer, the CEO of the pioneering crowd investment platform ASSOB, which has been operating in Australia since 2005 with an impressive record of success and zero fraud. A grateful nation thanks you for your detailed consideration, Mr. Niederer. But the big question remains, how much will the Regulation Crowdfunding process cost a deserving small business, and will it be worth it? The SEC estimates starting costs at ~$10K and ongoing costs at $15K per year, including the first year, for companies raising more than $100K. It remains to be seen how many will make the business decision to go this route for funding, as opposed to trying and succeeding through other mechanisms like private equity or bank loans. 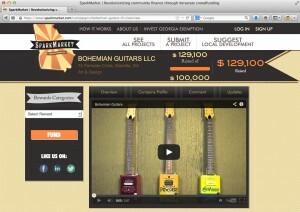 Bohemian Guitars, investment funded in Georgia by SparkMarket. Original photo for crowdfunding series by Bruce Evans via Flickr and used here with Creative Commons license. Paul Spinrad is a former editor at MAKE and Wired magazines, and a crowdfunding thought leader who catalyzed the movement for the JOBS Act’s crowdfunding provision. He began his career as a software engineer for government and business applications.